Symfony 2.7 includes countless code tweaks and improvements. A lot of them are minor changes that will increase your day-to-day productivity. In this article we introduce seven of those small but nice features. Sometimes it's hard to look for a specific request among all the requests stored by the Symfony profiler. In Symfony 2.7 this will be a bit easier thanks to the new column that displays the HTTP status of each request. Please note that if you store the profiler information in a database of type MySQL or SQLite, you must drop the existing table or add the new status_code column manually. Please note that this change introduces a minor BC break in some edge cases. If your expression uses the modulo operator in this way: foo%bar%2, Symfony 2.6 will parse it as $foo % $bar % 2 and Symfony 2.7 will replace %bar% by the value of the bar container parameter or it will raise an error if it doesn't exist. This may seem as a negligible change, but grouping debug commands under debug: and lint commands under lint: makes the framework more consistent and that's always a good thing. Using the PHP built-in web server is increasingly common while developing applications. You probably use the server:run command available since Symfony 2.2. 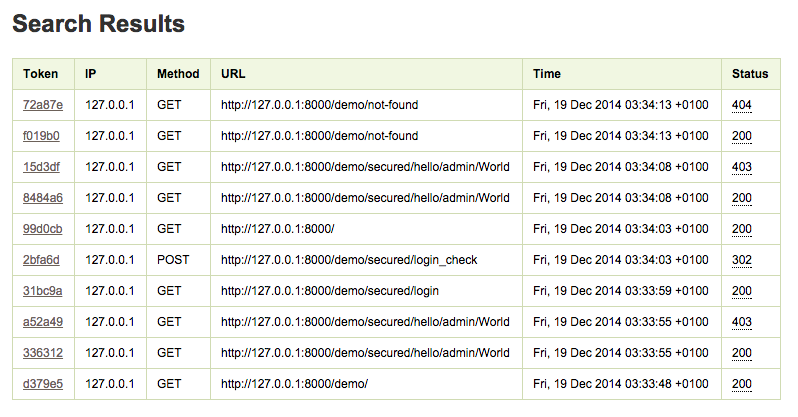 However, starting from Symfony 2.6 you can also use the server:start, server:status and server:stop commands. The only drawback is that the server:start command requires the pcntl extension to run. In Symfony 2.7, if you execute server:start and you don't have the pcntl extension, Symfony will automatically execute the server:run command. 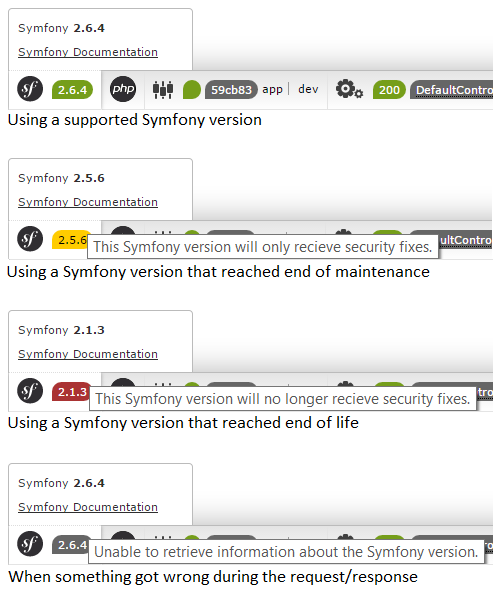 All these improvements have been proposed and implemented by the amazing Symfony Community. If you also want to become an active community member, read the Symfony contributing guides and consider proposing new ideas, sending pull requests and reviewing the code submitted by other developers. Glad to see the getParameter method appareance, but wouldn't it be a good idea to allow a default value for a parameter if it hasn't been defined just like the get method of the Request object ? Doing so, you could ensure a consistent behaviour wether the parameter is set or not. In short, it makes sense to provide a default value for a request query parameter because they are optional, but it doesn't make sense for the container parameters because most of the times you want them to define a value or make the application fail fast to alert you. These are small but amazing changes :) looking forward to use them! @Javier, thanks for the link and your explanation, I now understand why it's not implemented. I suggested this because of a project I'm currently working on which has options that can be defined depending on project instances. By the way, in this project, I created my own method getParameterIfDefined which just do what I need. Seems to me there's a typo in the screenshots : "recieve" instead of "receive". Where can I see all the requests for new Symfony features and related messages from members with suggestions?